Posted on May 16, 2013 at 10:00:27 am by Michelle M.
The unofficial kick off of summer, Memorial Day weekend, is right around the corner. You’re planning to enjoy a little time away from work, celebrating what it means to be an American. Bring on the brats, beverages, and burgers! 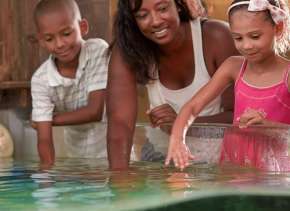 In between those cookouts we have some great events for you to check out that weekend. Start your holiday weekend a little early with these events on Friday: "Hotel California: A Salute to the Eagles” at Foellinger Outdoor Theater. You’ll be singing along with your favorite hits like “Get over it”, “Take it Easy” and “Hotel California”. Tickets are just $13. 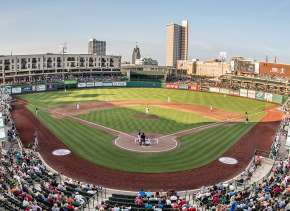 Tincaps take on South Bend Silver Hawks. Go for the game and stay for the fireworks that light up the downtown sky. The first pitch will be thrown at 7:05 at Parkview Field. Tickets start at $5. “Wild Minds: What Animals Really Think” will give you and your kids insight into what your pets are thinking. This exhibit takes place at Science Central and runs from April 19 – September 8. Admission starts at $7. 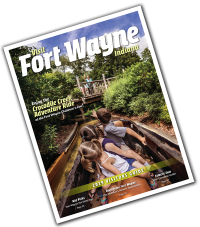 Enjoy the first day of your long weekend with these events on Saturday: Fort4Fitness CycleFest provides a family-friendly environment for bicycle riders to enjoy the sights of Fort Wayne. Events will start from One Summit Square and will offer 3 different distances for riders to choose from. Cost is $30 for adults and $15 for children ages 7-12. Take in the arts with exhibits at various museums and galleries around Fort Wayne. The 33rd Annual National Print Exhibition and the HALO Project and Ceramic Wall Work exhibit will both take place at Artlink Contemporary Art Gallery. Additional exhibits include Live2Love at Northside Galleries and Afros: A Celebration of Natural Hair by Michael July at the Fort Wayne Museum of Art. Honor our troops and veterans at the Amateur Radio Military Appreciation Day (ARMAD) “A Tribute to Those Who Serve” at Parkview Memorial Regional Hospital Park. The event will take place from 11 a.m. – 1 p.m. The public is welcome If you’re not exhausted from Friday and Saturday, check out these events on Sunday: Butterflies with an African Beat is at the Botanical Conservatory. 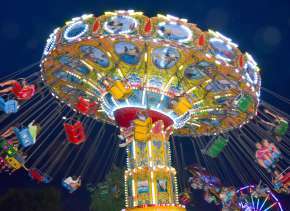 This event runs from April 13-June 7 and is sure to mesmerize visitors. 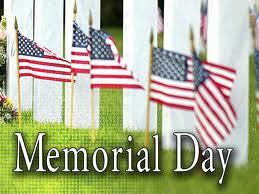 Admission starts at $3 And of course, be sure to celebrate Memorial Day with a Parade on Monday. The Memorial Day parade and Ceremony will begin at the corner of State and Parnell at approximately 11 a.m. and end at the Coliseum. Enjoy this great parade and honor those who have served our great country. For information on these events, and many more, please check out our detailed Calendar of Events online!